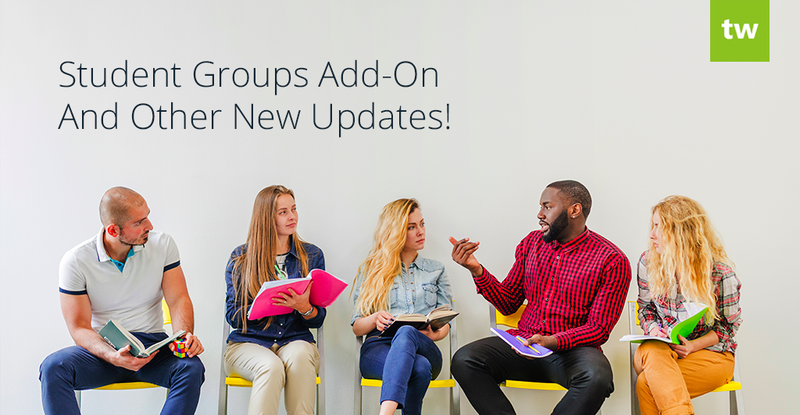 Our Student Groups Add-On allows you to create student groups easily and efficiently. This speeds up the scheduling process significantly as you can quickly assign multiple students to a lesson by simply selecting a group. This add-on is useful for any company that offers group lessons on a regular basis. 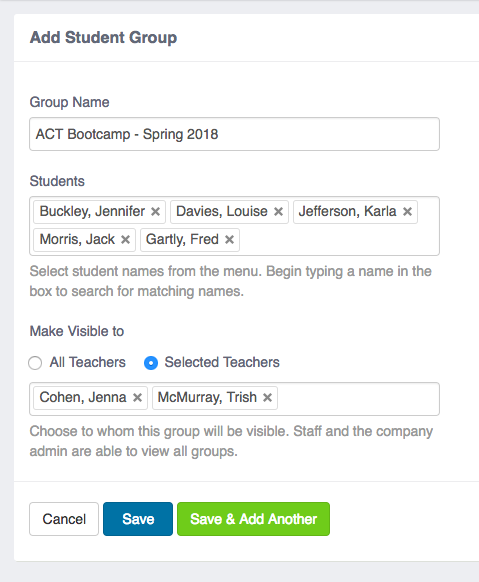 If you run a music school for example, and you have frequent group sessions with the same students, you can create a student group to make it very easy to select them when scheduling lessons. If you’re running a summer bootcamp that involves multiple group lessons, you can create a group for these students to streamline scheduling. 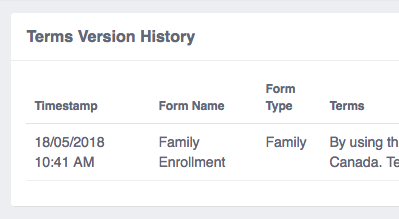 If you’re using our Custom Enrollment Forms Add-On and you’ve added terms to your form, a timestamp will be logged each time terms are added or updated. This can be used to track which terms a customer agreed to when signing up for your services through a custom form. You can click on the “Past Terms Versions” link in the sidebar on the Forms page to view all past terms. The “Terms Version History” table includes the following columns: Timestamp, Form Name, Form Type and Terms. If a customer signed up for your services through a form with terms included, this will be indicated in the sidebar when viewing their profile. Similarly, if an employee applied through your application form, this will be indicated in the sidebar when viewing their profile. You can use the “Create Date” of their profile to determine which version of the terms they opted in for. * This feature is useful for companies that need to adhere to the GDPR legislation that came into effect on May 25, 2018. We’ve added the ability to set custom fields on student and customer profiles through the API. You can find more information about our API here. We’ve added the ability to download the family list in the background for companies with large numbers of records. The file will be emailed as soon as it’s available.